Such a sweet card Laurie, I love it. Doesn't get any sweeter than this! Adorable. Ahh, look at all the texture and that plaid pattern. So perfect for bebe! Too cute. Love the heart!! There you go with the Bazzill texture...love the feel it creates against the gingham paper. Adorable. I love this giraffe card! Get out Laurie!! 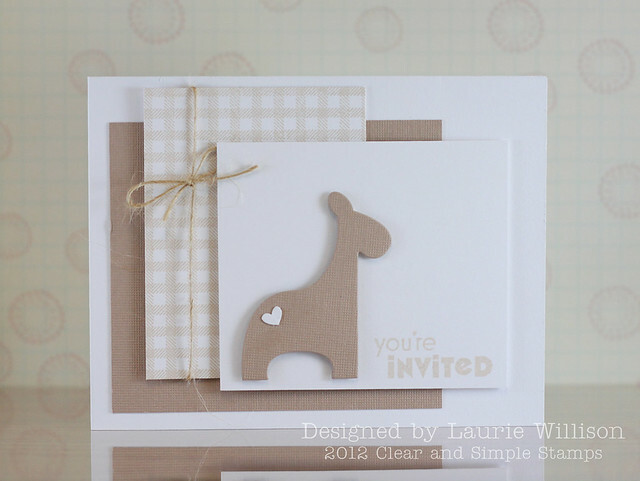 This is DARLING, love the texture and the gingham stamp!! Gorgeous! I love all of the layering! So CAS and soft. Love it! I love the muted colors! This looks so soft and cute! This is adorable, Laurie. Love the gingham and twine! It's precious! 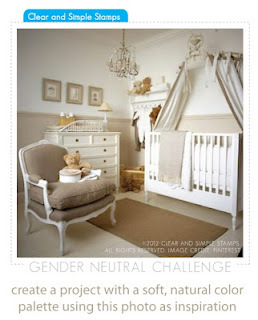 I love the kraft and neutrals - I'm always suckered into pastels but this CAS is perfect! I adore the layers on your fabulously sweet card! Laurie, this card is just adorable! The colors are so soft and that gingham is just perfect! Just love all the texture here. This is so sweet! This is just so sweet and sooooo very elegant. The color combinations are so soft, perfect for a baby. This is so sweet! Love that you kept it monochromatic! Adorable! Love the look of the textured cardstock for the die cut giraffe. Catching up on my Reader and this is just perfect! This is about as SWEET as sweet could be!! I don't need CSS. I don't need CSS. I don't need CSS. You're killing me. Money tree?? WOW! Your card is awesome, it has lots of layers but it's still so CAS! How do you do it?? ?